Update 2/12/19: The writing sample will no longer be required to be completed immediately after the test starting with the June 3, 2019 LSAT. For those of you taking the March test, the info below will still apply. 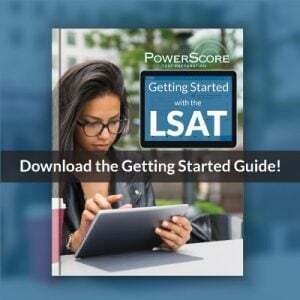 Your LSAT score is the result of your performance on a predetermined collection of multiple-choice tasks: two scored sections of Logical Reasoning, one scored section of Reading Comprehension, and one scored section of Analytical Reasoning (better known as Logic Games). In addition to those four, there will also be a fifth, unscored multiple-choice section known as the Experimental, which will present another of the three types—either a third LR, second RC, or second LG. These five sections can appear in any order, and are largely unpredictable as you work your way through the exam. But that’s not the entirety of your test day. What many fail to realize, or at the very least fail to fully understand, is that official LSATs also contain a sixth section, given in a separate test booklet and administered after the completion of the five sections described above: the Writing Sample. And it’s this final section that I want to talk about today. 1. The Writing Sample is unscored. Yep, you read that right: there is no number or value given to your essay. So, unlike all those multiple-choice questions you’ve spent the day tackling, the difference between a “great” effort and something inarguably mediocre is more qualitative than quantitative, and comes down primarily to your ability to adhere to a handful of suggestions that I’ll outline in detail below. 2. The Writing Sample is (almost) an afterthought. Big emphasis here on that “almost.” Schools pay little, if any, attention to your essay, it’s true…they know this is given after several grueling hours of testing and in a format largely unrelated to any you’ll encounter in law school (your personal statement is a much better measure of your writing skills). They also have limited time to evaluate applications, and reading essays is a labor-intensive process. But they do get a copy of it. So while your unscored essay factors into the overall admissions equation as a near-nonissue, there are two key reasons why you shouldn’t blow it off. First, the last thing you want an admissions committee that does happen to read your Sample to think is that you’re not serious about the process. Law school is brutal. It requires a Herculean level of dedication, so imagine what it says to a group debating your intentions and potential if you can’t commit yourself to a half-hour writing exercise. The risks of dismissiveness far outweigh the rewards. 3. The Writing Sample is mandatory. I know this probably seems counterintuitive given the previous points—it’s unscored, and possibly unread—but LSAC reserves the right to cancel your score if you don’t submit something for the Writing Sample. In short, a blank essay can invalidate your whole day, so putting pencil to paper is required, and at that point you’d be crazy not to give it your best shot. Reread the paragraph above if you’re still on the fence as to why. But you’re in this to win it, so let’s go nuts. I’m about to dissect the Writing Sample piece by piece, from the General Directions to the specific essay Directions to the details of an actual Sample, and give you the tools to craft an essay that any board would be pleased to receive. General Directions: You will have 35 minutes in which to plan and write an essay on the topic inside. Read the topic and the accompanying directions carefully. You will probably find it best to spend a few minutes considering the topic and organizing your thoughts before you begin writing. In your essay, be sure to develop your ideas fully, leaving time, if possible, to review what you have written. Do not write on a topic other than the one specified. Writing on a topic of your own choice is not acceptable. Confine your essay to the blocked, lined area on the front and back of the separate Writing Sample Response Sheet. Only that area will be reproduced for law schools. Be sure that your writing is legible. Little mystery in that. Here’s what matters. For one, you’re encouraged to take some time—”a few minutes”—before you begin writing to plan your essay. This is good advice. If anything I think it actually undersells just how crucial the planning phase is. Expect to spend 5-7 minutes organizing your response before you begin composing it. You get about a full page’s worth of scratch paper to sketch out any notes or initial thoughts, and you should use it: as I’ll explain shortly, that allotted room is where you’ll jot out pros and cons for the two options presented and develop a game plan for your overall response. Similarly, if you can wrap things up around the 33- or 34-minute mark you’ll have some time to proofread what you’ve written and make quick edits as needed (and trust me, there will almost certainly be some mistakes to touch up). Next, this essay is all about your interpretation of the information presented, not your specific knowledge of the topic, and not the volume of text you submit. Readers care about how persuasive your argument is. And that’s it. So focus on crafting a convincing defense of your chosen path, and worry less about subject knowledge and word count. Last, write clearly and in the space (lined pages) provided. If your handwriting is as bad as mine slow it down a bit and focus on legibility. Even if the essay goes unread by the committee they’ll still see it in your folder, so at the very least make a good impression with your penmanship. Again, easy enough. These directions outline the crucial points for what’s to come: you’ve got an either/or decision to make with no “right choice,” there’s information provided in support of both options, and yet you have to choose one and stick to it. You MUST take a side. There’s no clear winner—both options have advantages and disadvantages—but you can’t hedge here. You need to choose one and go all-in in your defense of it. However, and as we’ll see, that doesn’t mean blind devotion: the fact that you’re leaning one way doesn’t mean the alternative is without merit, and acknowledging the occasional failings of your path while simultaneously hinting at the upsides of the other is what great essays are made of. But more on that in a second. Let’s examine the Writing Sample from the June 2007 LSAT for a detailed look at exactly how this plays out. • The company wants to increase its profits. • The company wants to ensure its long-term financial stability. The “national plan” is to open a large number of men’s clothing stores throughout the country over a short period of time. In doing this, the company would incur considerable debt. It would also have to greatly increase staff and develop national marketing and distribution capabilities. Many regional companies that adopted this strategy increased their profits dramatically. A greater number tried and failed, suffering severe financial consequences. BLZ is not well known outside its home area. Research indicates that the BLZ name is viewed positively by those who know it. National clothing chains can offer lower prices because of their greater buying power. BLZ currently faces increasingly heavy competition in its home region from such chains. The “regional plan” is to increase the number and size of stores in the company’s home region and upgrade their facilities, product quality, and service. This could be achieved for the most part with existing cash reserves. These upgrades would generally increase the prices that BLZ charges. In one trial store in which such changes were implemented, sales and profits have increased. The local population is growing. BLZ enjoys strong customer loyalty. Regional expansion could be accomplished primarily using BLZ’s experienced and loyal staff and would allow continued reliance on known and trusted suppliers, contractors, and other business connections. As you can see, you have to commit to one of two choices based on two criteria, in this case increased (one assumes somewhat immediate) profitability and long-term financial stability. 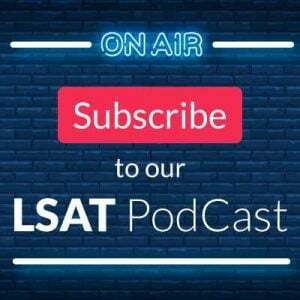 As is true of every LSAT Writing Sample the dilemma is the same: each of the two choices will presumably better satisfy one governing objective while simultaneously underperforming with respect to the other, meaning there’s no clear winner…an odd situation for a test all about right answers. Here the two choices are particularly muddy: neither seems to clearly accomplish either goal. Still, you can expect to assign each option to an objective, and that provides a starting point. What are our objectives, and which plan better serves each? Increase profits, meaning we need a way to generate income, and hopefully as quickly as possible. Although the “national plan” mentions profits, it is also a costly, and seemingly high-risk, move in the short-term. So from a profit objective it seems more prudent to pursue the “regional plan,” where BLZ avoids serious debt by using its cash reserves to increase the size and number of its stores and quickly raise prices. Basically this option requires little change in terms of infrastructure, and thus would allow for some potentially speedy results, as have already been observed in one trial store. It doesn’t offer much in the way of long-term growth/stability, however, as it only applies to the stores in the company’s home region (where we’re told competition is increasing)…in a sense this is a much more incremental, small-scale change than the alternative, but with the potential to produce modest, but fast financial gains. Ensure long-term financial stability, meaning we need a way to safeguard against potential setbacks on the scale of years and even decades. With the talk of increasingly heavy competition in BLZ’s home region, it seems as though the “national plan” offers the more appealing long-term, large-scale solution. Granted, there are greater risks than with the regional plan—BLZ will incur considerable debt, devote significant resources to new staff and marketing/distribution efforts, and fight an uphill battle of not-so-great odds given the historical consequences for other companies that have adopted this strategy—but with a strong reputation where known and the need to expand beyond their home region, the long-term viability of the company may well depend on this big picture approach. First, I’ve tried to categorize the two plans according to their likelihood of satisfying the criteria provided (and generally it’s much more black and white as to which plan serves which objective; this particular Sample is annoyingly unclear), explained my reasoning for why I paired them as I did, and also mentioned the downsides of each. That’s roughly how you should begin the planning phase of your essay: considering how to partner a choice with the criteria it most satisfies and why, while simultaneously determining the ways in which it falls short of perfection. Second, I wouldn’t actually write that all out on test day, at least not as I did here. I listed it merely to demonstrate the thought process behind the assignments I’ve chosen. At this point the only thing left to do before I get to writing is pick a side. Again, there’s no right or wrong answer, so choose whichever option you feel you’ll be better able to defend (whichever happens to appeal to you slightly more, or that you believe has more attractive pros and/or less detrimental cons) based on the points you’ve just sketched out. For me, with this particular Writing Sample, I’d choose the regional plan. Here’s why: the regional plan seems to give the better immediate prospects in terms of low-risk financial success, and while it’s unlikely to be a permanent solution to the company’s long-term ambitions, if it generates some quick profits with little investment that would minimize the consequences associated with eventually pursuing a more nationally-oriented expansion. In short, employ the regional plan now, make as much money as possible from your loyal, local customer base before the competition gets untenable, and use those gains to offset the “considerable debt” associated with something more aggressive down the road. Note that I’m not recommending “do both!” I’ve made a decision in favor of one over the other, however my reasoning can still allow for the possibility that doing one now doesn’t inherently preclude the other’s potential existence at some point in the future. Unless, of course, the initial choice craters the company entirely (a very real concern with the national plan in this case). So, to recap: you’ll be asked to make a decision between competing options with no right or wrong answer, but rather with contrasting points for and against each choice based on a pair of desired outcomes; you must choose, despite neither being a perfect solution; spend the first several minutes determining which plan is better suited to which of the two criteria provided and making a quick sketch to note the pros and cons of each choice based on those criteria; choose the plan you feel better equipped to defend, while also acknowledging the downsides of your choice and the potential upsides of the alternative. Begin with a clear statement expressing which of the two options you’ve chosen. Then spend the remainder of the first paragraph in defense of that decision: explain why your pros are notable and relevant and the driving factors in the determination, and downplay the weaknesses that your selection contains. This is important! You need to explicitly mention that your choice does in fact have failings, at which point you can then describe why their consequences aren’t a deal-breaker. One of the primary considerations of anyone reading your essay will be whether you were candid in your treatment of an imperfect plan. Remember, admitting a degree of weakness can ultimately be a strength, provided you proactively address it and mitigate its nastier effects. This is your opportunity to do just that. In your second paragraph you’ll provide your reasoning for avoiding the other option, specifically by downplaying its advantages and emphasizing its failures. Again, you need to grant that this choice has some merit. Doing so shows that you’re not only equitable, but it also allows you to then de-emphasize those benefits. Finally, conclude this paragraph with a sentence that quickly restates your choice and, in broad terms, how the information you’ve provided speaks in favor of it. Of course, if you have a few minutes remaining—and it’s a good idea to pace yourself so that you do—reread what you’ve written looking for typos, misspellings, grammatical errors, and general illegibility. These things won’t keep you out of law school if you’re otherwise qualified, but they hardly serve to make a great impression. Clean it up if you can. Lastly, you’ll note that I’ve provided more of a template for how to write the essay, rather than an “ideal” sample essay itself. The reason being—aside from the fact that it’s unscored and thus no “perfect essay” can be said to exist, really—is that, while I strongly encourage you to adhere to the points and pattern outlined above, I’m not here to dictate your writing style. Your voice is your own, and it’s important that it ring true and read authentic on test day. Are there soft rules you should follow? Yes. And the text here should give you a clear idea of what those are. But it’s up to you to fill in the gaps with words—and reasoning—of your creation. Fortunately, by following this guide I’m confident you’ll have no trouble expressing yourself commendably when it counts. Questions or comments on the Writing Sample? Let us know below, or get in touch at (800) 545-1750. Photo “Pelikan Souverän M600: Handwriting Sample” courtesy of Brian Wong. Wow 🙂 Thank you for the details for conquering the writing sample. 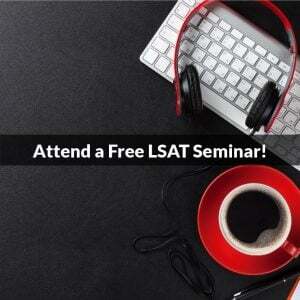 The last time I took the LSAT I made sure that I weighed the pros and cons of the situation. I also concluded why I thought one option was better than the other. Just wondering if you recommend always doing the writing sample at the end of every practice LSAT? Thanks in advance! Since it’s unscored and administered at the very end of your test day there’s no point is spending much time preparing for it, beyond understanding how it works and perhaps attempting a couple in the allotted time beforehand to get a feel for what it’s like to write for 35 minutes. Including one with each practice test (or even more than one or two practice tests in total) is definitely overkill–that time is far better spent working on the scored content instead. Thank you so much for the quick response! Good to know, I’ve already done 4 following practice tests so I’ll definitely call it and not have the time needed to do one be so formidable. Thank You for all your great information. I am 52 years old. I’ve had a successful life so far. I owned two businesses. My first business was a daycare. I owned twenty three one half years. My second business was a restaurant. Grandy’s franchise. I had a business partner, did not work. This is what inspired me wanting to become an attorney. I had to sue in order to get my partner out of the business. He was the operator I was the financial investor. I hired six attorneys in a year and a half not one was any good. I spent over $250,000 in attorney fees. The attorneys I hired had Very little work to do. My husband, son and I did all the research. I am so frustrated with attorneys I have dedicating my life into researching what I need to do in order to become an attorney. I was an average student. I’ve been out of school for 35 years. I have an associates in early childhood development, i’m retired. What would be your advice to me? hi there, do you know what’s the new requirement for writing sample starting June 3, 2019? It won’t require writing to be completed immediately after the test. So they allow testers to finish the writing sample at home?